Mary Sosa, who campaigned for the Oklahoma House of Representatives, said the Hispanic community must do more to encourage its residents to run for office. Mary Sosa’s campaign is over. The yard signs have been taken down. The volunteers have gone home. The retired 65-year-old city employee has returned to her work as a community volunteer. But for Sosa and some south Oklahoma City Hispanic leaders, the sting and bitterness over an unexpected defeat in the Democratic primary runoff for a state House seat still lingers. Sosa’s defeat surprised her and supporters partly because House District 89 has the highest share of Hispanics in the state, at 61 percent in 2010. Her loss in in the district, which is west of the historic Capitol Hill area, also represents a larger trend: the lack of Hispanics in the Oklahoma Legislature. Among 149 House and Senate members, only one identifies himself as Hispanic, Rep. Charles Ortega, R-Altus. Another lawmaker, state Sen. Anthony Sykes, R-Moore, is the son of a Hispanic woman, but his website and Facebook page do not refer to his ethnicity. The small number of Hispanic legislators stands in stark contrast to Hispanics’ share of the state population. Hispanics comprise nearly 10 percent of Oklahoma residents, making them the largest minority group, according to the U.S. Census Bureau’s 2013 estimates. But head counts don’t seal elections. In Sosa’s case, she lost by a wide margin in a low-turnout runoff, 395 to 258. The winner was 21-year-old Shane Stone, a non-Hispanic White who had moved back to the district in 2013. For Carlos Ortiz, editor of the weekly Spanish-language newspaper, El Nacional, the results were a sad commentary on the number of Hispanics who cast ballots. “Qué vergüenza! (How shameful! )” the paper declared in a large front-page headline, referring to the low turnout. Other factors also were involved. Sosa got sick during the campaign. The far-right Sooner Tea Party attacked her with some brash tactics. Stone ran a vigorous campaign with the backing of the South Oklahoma City Chamber of Commerce. Stone, who will assume office because there is no Republican opponent in the general election, said the primary race boiled down to “stark differences “between the candidates. Oklahoma’s Hispanic population has more than doubled since 2000, to nearly 370,000 last year, according to Census Bureau estimates. The largest Hispanic clusters are in the Panhandle, south central Oklahoma City, Tulsa, Lawton, Norman and Broken Arrow. 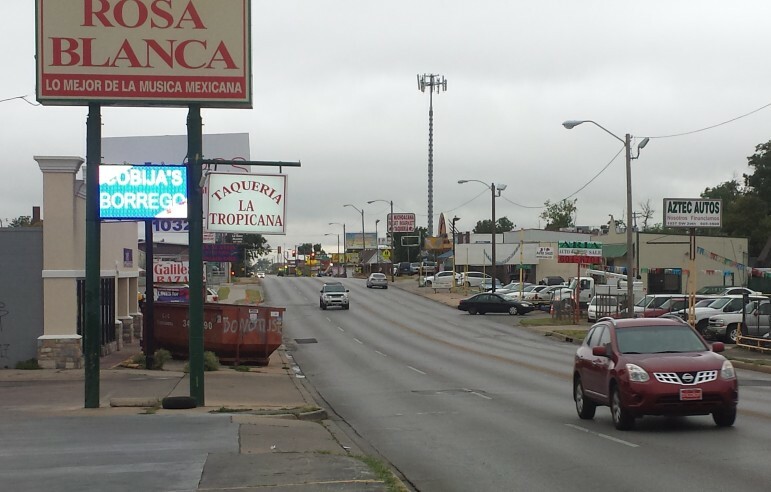 In 2013, more than 100,000 Hispanics lived in Oklahoma City, estimates show. Most are in the country legally. According to a 2010 analysis by the Pew Hispanic Center, only about 2 percent of Oklahoma’s population, or 75,000, are estimated to be undocumented. That figure included immigrants of all races. In spite of the growth, Hispanics remain scarce at all levels of Oklahoma government. No Hispanic serves in a federal or statewide elected office and few are in municipal offices or are members of the judiciary. “We are few and far between,” said David Castillo, president of the Greater Oklahoma City Hispanic Chamber of Commerce. In Tulsa and Oklahoma City, no Hispanics serve on the city council, although Tulsa’s council previously had two Hispanics, said Drew Rees, the council’s chief of staff. There are small signs of change, however. In August, Gloria Torres was sworn in as the first Hispanic woman to serve on the Oklahoma City Public Schools board and two Hispanic legislative candidates remain on the 2014 ballot. Not far from Mary Sosa’s home, Oklahoma City attorney Michael Brooks-Jimenez sees clients at his law office on Western Avenue. Brooks-Jimenez is a fourth-generation Hispanic Oklahoman and has lived in south Oklahoma City all this life. He is facing incumbent Republican state Sen. Ralph Shortey for the Senate District 44 seat. The other Hispanic candidate on the ballot is Juan Rodriguez, a Democrat running against Republican Jeff Coody in House District 63 in southwestern Oklahoma. Brooks-Jimenez said he was inspired to run for election by an early exposure to government service and the desire to represent the community where he grew up. “This is my home,” he said. Both campaigns face similar obstacles. Community leaders and experts say the lack of Hispanics in public offices is partly due to the fact that so many have arrived within the past 10 to 15 years and it takes time for a community to get established and produce leaders. Many Hispanics also haven’t embraced voting. Ortiz, of El Nacional, said most Hispanic families are working and don’t take time off to vote. Ortiz said people who immigrated here from other countries also are negative toward politics in general. They have had bad experiences in other countries. He added the state’s ballot and election system is overwhelming for many Hispanics. Keith Gaddie, a University of Oklahoma political science professor, said because Hispanics are younger on average than whites, there are fewer adults and, therefore, fewer Hispanic voters. Hispanics are still putting down roots and political activity isn’t high on the to-do list, he said. “They haven’t fully branched out into other areas of society,” he said. Fear is another factor, said Sosa, the District 89 candidate. 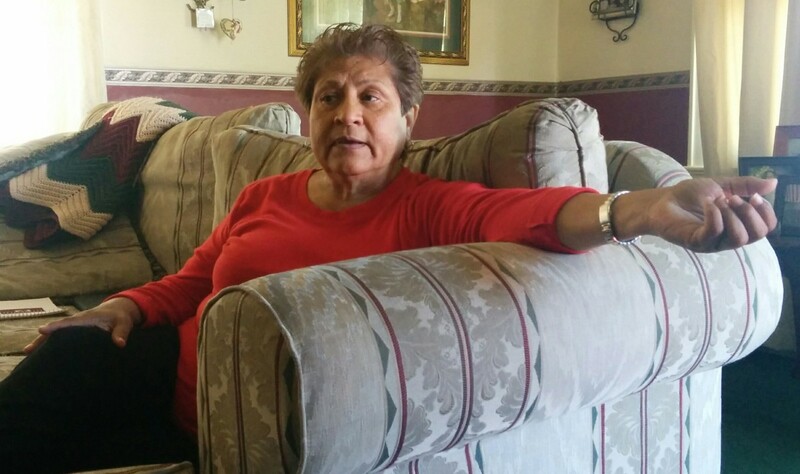 Memories of House Bill 1804, the state’s anti-immigration law, have driven many Hispanics who immigrated legally away from public-service opportunities, she said. “They saw that become law and they were afraid,” she said. A view of S.W. 29th Street in Hispanic-majority House District 89 in south Oklahoma City. Sosa has lived in south Oklahoma City for more than three decades and retired from her job as an Oklahoma City municipal employee. In the House race, she planned to leverage her community connections and contacts in labor circles and run a small but strong campaign. In the June primary, she came in first in a four-way contest, capturing 43 percent of the vote. The nearest candidate, Stone, was 18 points behind. Then things began to unravel. She was hospitalized for an illness for much of July. Stone stepped up fundraising and mounted an intense, late-summer campaign that caught Sosa off guard. Then came attacks from opposition groups, including the Sooner Tea Party. The Tea Party endorsed Sosa in an effort drive a wedge in her moderate base. Other groups sent out direct mail pieces that Sosa said distorted her work and her record. In a web posting shortly after the election, the Tea Party boasted that its tactics had caused Sosa’s defeat. Castillo, of the Hispanic chamber, was not involved in the election, but he said the tactics remind him of ploys used in his race for a House seat in a nearby district in 2008 against Republican Mike Christian of Oklahoma City. The night before the election, he said, someone draped Mexican flags on his campaign signs near polling stations. “I really believe that’s what did it,” he said about his loss. Stone said he himself was surprised by the number of outside groups who got involved in the District 89 race. For her part, Sosa said she was shocked by the Tea Party’s endorsement but wasn’t surprised she had been targeted for defeat.